AN influential British artist inspired by Ronda’s beauty is having his work showcased at a new exhibition. 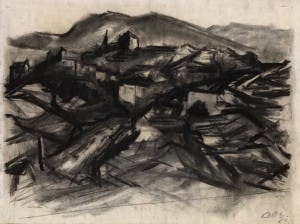 David Bomberg lived in the Spanish mountain town from 1934-35 and 1956-57 and painted some of his greatest work there. The display of his paintings and those of his students at Waterhouse & Dodd in London will last until October 24. Blomberg once planned to open a Ronda painting school with a former pupil.